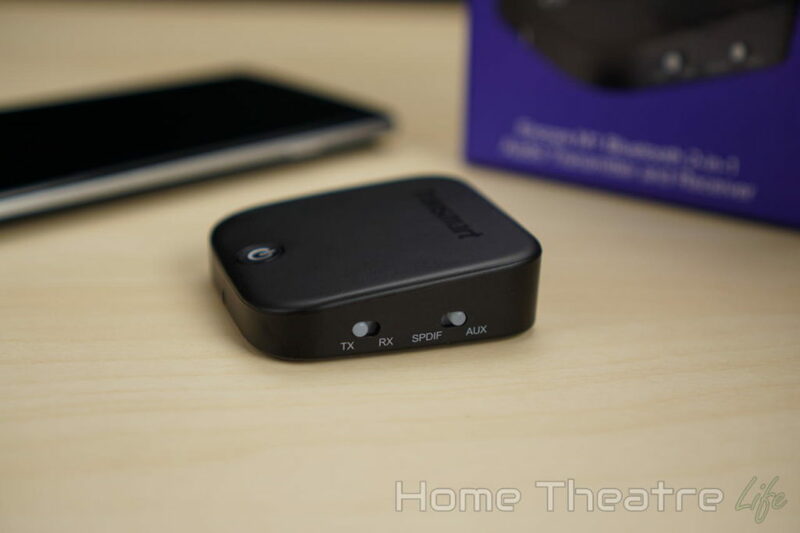 Home Reviews Android TV Box Reviews Tronsmart Encore M1 Review: Best Bluetooth Transmitter and Receiver? 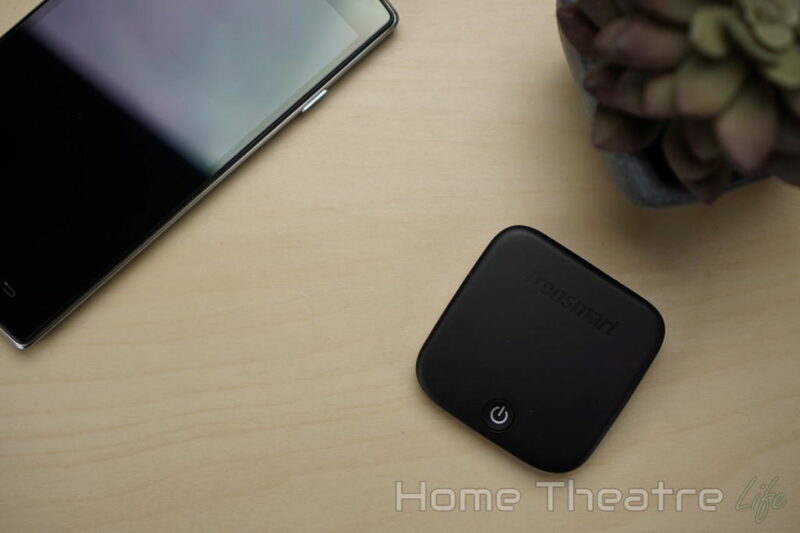 In my Tronsmart Encore M1 review, I put this compact Bluetooth transmitter and receiver to the test. Is the Tronsmart M1 worth it? Keep reading my review to find out. What is the Tronsmart Encore M1? 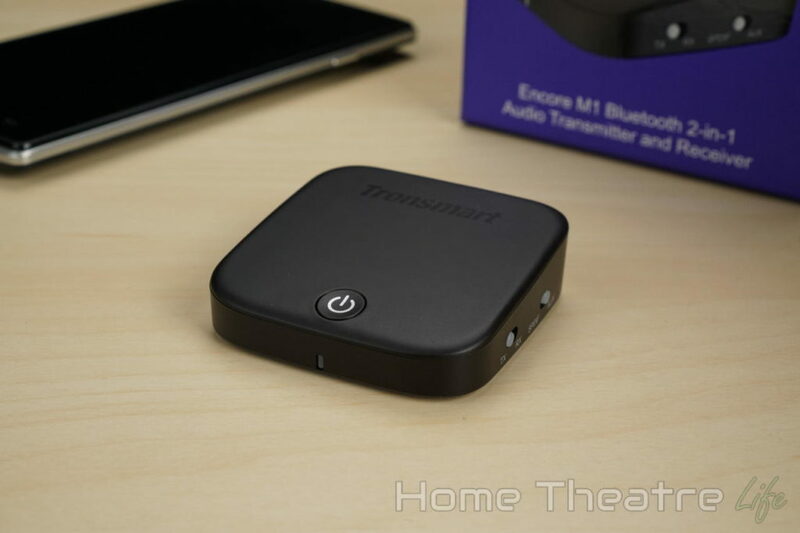 The Tronsmart Encore M1 is a Bluetooth Transmitter and Receiver. If you’re like me, you’ve got a pair of Bluetooth headphones and you’ve wanted to use them for wireless audio everywhere. The Tronsmart M1 lets you do this. Thanks to its Bluetooth transmitter, you can pair up your Bluetooth headphones and use them on anything with a headphone jack or optical output. 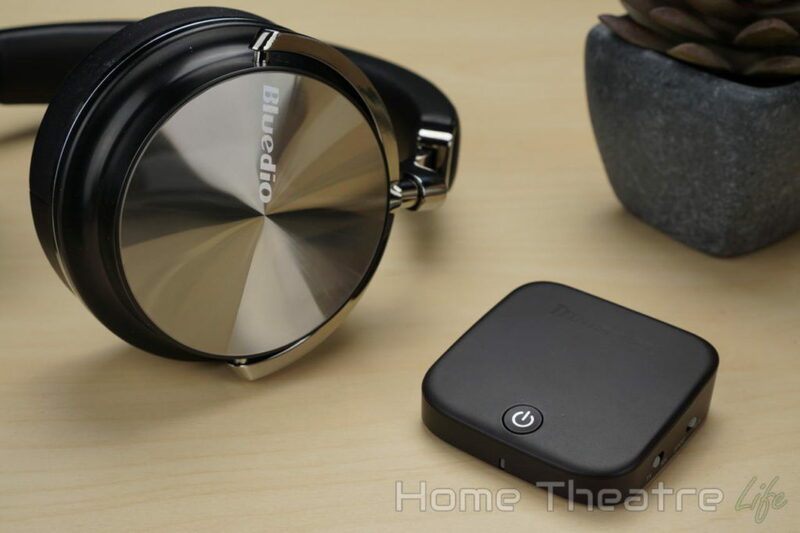 It also acts as a Bluetooth receiver, allowing you to play music to connected speakers over wirelessly. There’s very few devices that actually do this, making the Tronsmart Encore M1 a very interesting device. The Tronsmart Encore M1 is available from GeekBuying. Use coupon 7TRSENCM1 to get $7 off for a limited time only! 1 What is the Tronsmart Encore M1? 8 Should You Buy the Tronsmart Encore M1? I really like the fact Tronsmart provided everything you need to get the M1 connected. There’s nothing worse than getting a new gadget and not having the right adapter. The Tronsmart Encore M1 is compact, only slightly bigger than matchbox at 60x60x18.4mm and weighing a mere 38.6g. There’s a single dual color power LED on the front of the device, and a power button on the top. Two small switches on the side allow you to change between the Tronsmart Encore M1’s Bluetooth transmitter and receiver functions and toggle between 3.5mm and Optical audio input/outputs. The ports are on the back of the unit, with 3.5mm audio in/out, SPDIF In, SPDIF Out and a micro USB port for charging the in-built rechargeable battery. Using the Tronsmart Encore M1 is relatively simple. After hooking it up using the included 3.5mm or optical audio cables, you can use either the transmitter or receiver by adjusting the switches on the side of the unit. The Tronsmart Encore M1 will automatically reconnect with paired devices. However, switching between modes causes it to forget previously paired devices so keep this in mind if you’re planning on regularly switching modes. I used mine in Transmitter mode 90% of the time so I personally didn’t find this to be an issue but it’s definitely something to be aware of. 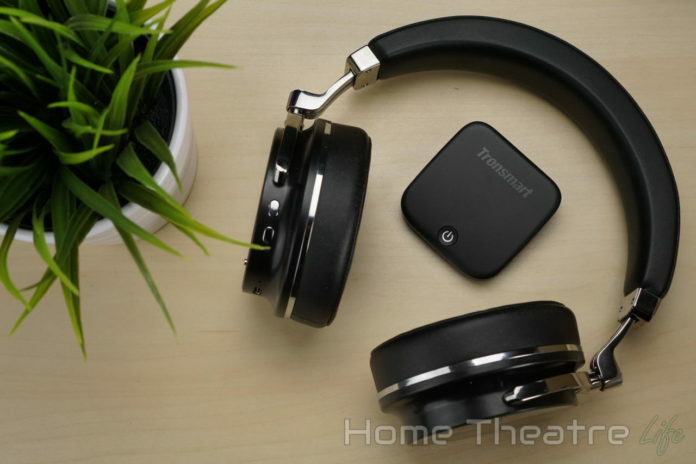 The Tronsmart Encore M1’s Bluetooth transmitter is my favorite feature as it solves a massive problem I’ve been having. I’ve been using Bluetooth headphones for a number of years and I’ve always found it frustrating that I can’t use them with all my gadgets – particularly my TV or home theatre setup. So the idea of being able to replace my aging Sennheiser RS120 RF Wireless Headphones with my favorite Bluetooth headphones was exciting. Using the transmitter mode is fairly simple. After connecting your audio source (such as your TV or amplifier) to the Tronsmart Encore M1 using either 3.5mm or optical connections, you’ll need to switch the Tronsmart Encore M1 into Transmitter mode. After turning on the device and putting your Bluetooth headphones or speaker into pairing mode, double-clicking the power button will cause the Tronsmart Encore M1 to automatically pair. You can actually pair 2 headphones simultaneously in transmitter mode which is great if you want to have a “silent cinema” at home. It was great being able to kick back and enjoy a movie without wires, particularly as I find my Bluetooth headphones far more comfortable than my wireless pair. The overall experience was pretty smooth, though I noticed that there was a tiny amount of latency, though this is standard for Bluetooth audio. Audio quality was good, though you need to be mindful of the input volume. When I connected it to my amplifier, I had to turn down the amplifier volume and turn up my Bluetooth headphones to avoid distortion and get clean audio. This wasn’t really an issue, as I could push my headphones to uncomfortably loud levels regardless. The Tronsmart Encore M1’s receiver mode is also a handy feature, allowing you to play music to connected devices over Bluetooth. Once you’ve connected up a speaker, headphones or an amplifier using the 3.5mm or optical audio outputs, double-click the Tronsmart Encore M1’s power button and pair your smartphone. Once paired, you can play music from your smartphone, Spotify and more like any other Bluetooth speaker. The process was painless and it’s an easy way to add Bluetooth to non-Bluetooth audio equipment. Tronsmart are quoting that the battery should last for around 15 hours when used via 3.5mm, with this dropping to 12 hours when optical audio is used. Should You Buy the Tronsmart Encore M1? The Tronsmart Encore M1 Bluetooth transmitter and receiver is a unique device that solves a problem I’ve had for a long time. As we move towards a world of Bluetooth, being able to use your Bluetooth headphones with anything instead of having to fork out for expensive wireless headphones is a massive plus. The Bluetooth receiver function is also useful, bringing Bluetooth connectivity to standard speakers. For under $40, the Tronsmart Encore M1 is great if you’re wanting to use your Bluetooth headphones with non-Bluetooth devices or add Bluetooth capabilities to audio equipment. 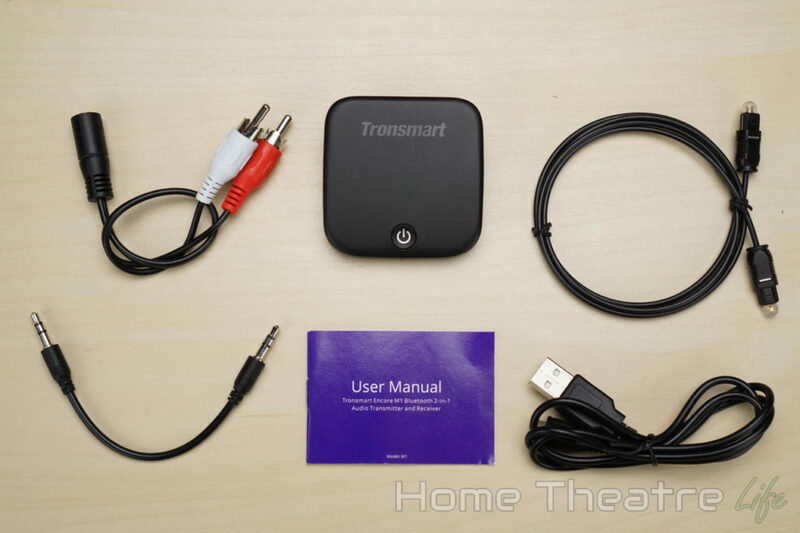 The Tronsmart Encore M1 is a great Bluetooth transmitter and receiver that's well worth the asking price.